Today’s color palette is all about festive jewel tones. 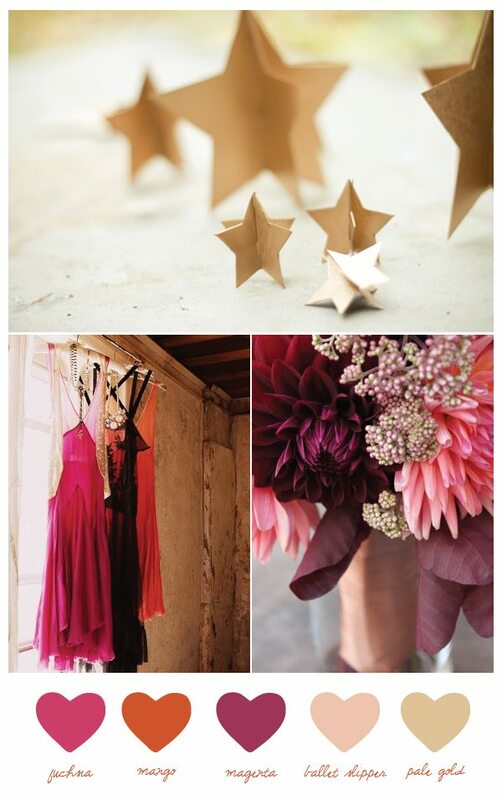 I love these shades of fuchsia, magenta and mango paired with a soft pink and glittery gold. These colors are perfect for an unexpectedly vibrant holiday celebration or even summer or fall weddings. Love!